Surrounding a peaceful courtyard, and among meadows and fields you will find Humble Bee Farm’s comfortable holiday cottages. Humble Bee Farm includes three Four Star Gold cottages, surrounding a peaceful courtyard on our picturesque working farm. The cottages are great for a family holiday or that special occasion as they are fully equipped with everything provided, so you can enjoy cooking those fabulous meals using Yorkshire’s best produce! If you stay with us for a week or more, a delicious, locally-sourced breakfast pack is provided. Humble Bee Cottage is a superb granary conversion, with oak beams, arched windows and a log burning fire. Both bedrooms are en-suite and have a luxurious yet comfortable country feel. We are a Low Noise Policy site, meaning you will have a relaxing, peaceful holiday. Merry Dale and Swallow’s Nest Cottages each have an outdoor hot tub covered by a thatched gazebo so you can relax under the stars! Both Merry Dale and Swallow's Nest are converted from stable buildings, and each have two en-suite bedrooms. 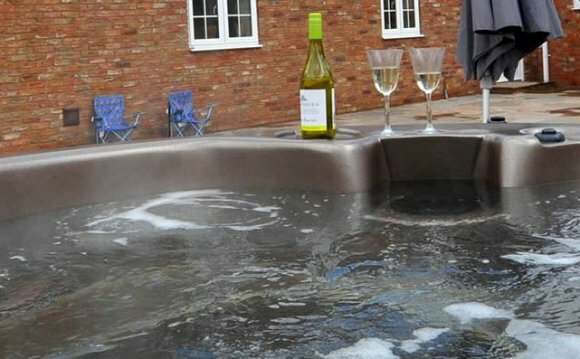 All our cottages have excellent facilities, have central or under-floor heating and sleep up to four guests. While we are a working stock and arable farm, we have a children’s play area, stunning farm walks, and during the peak season we also have an extensive events calendar which you can take part in if you are a Humble Bee Farm guest. We have free range chickens, a duck pond and ducks, goats, sheep and cows and grow a variety of crops including wheat and barley.